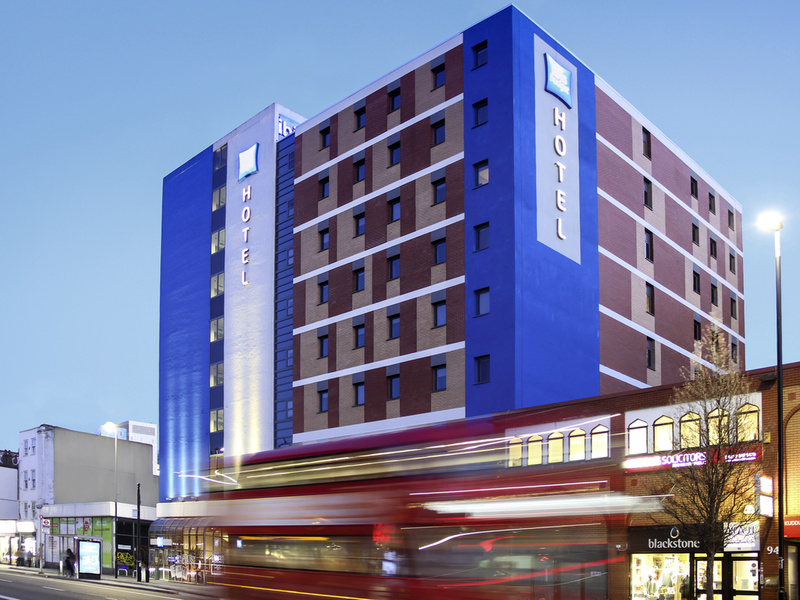 Home to 269 bedrooms and the new Nest room, ibis budget London Whitechapel is perfect for those who need affordable accommodation in central London. Sleep in comfort, prepare for the day with unlimited continental breakfast, and enjoy direct access to London's best treasures including Brick Lane and Spitalfields Market to name a few. Located only 5 minute walk to Aldgate East and Whitechapel tube stations, our zone 1 locations is perfect for you to explore our great capital properly. ibis budget London Whitechapel is situated close to Central London. When exploring all the tourist attractions in London the closest underground stations to the hotel are Whitechapel, Algate and Algate East . Our east London base is nestled among some of the capital's trendiest, most tempting areas. Check out the jumping nightlife scene in Shoreditch, and take a turn around the city's beautiful architecture and green spaces during quieter times. A couple of details short of perfect. Lovely room, great staff, but really even in a budget version of an Ibis I would expect shower gel and a hairdryer. We couldn't even get a hairdryer from reception, one was never there. Our stay at the Ibis in London was completely satisfactory. The room was clean, which was the most important thing, since we did not spend a lot of time there. We were in London sightseeing and we only slept in the room, but were not there during the day. It was small, but enough. They even changed our towels and cleaned the floor, even though we were there for only two nights. We did not eat breakfast cause we had other arrangements, but other people did and we heard good stuff about it. For a short stay, Ibis Budget is really good. What you pay is what you get, which is completely enough. Good value for money. Friendly staff. Got there Friday evening and had to try three rooms before finding one that was clean. Staff however were great with us during this. Comfortable room and bed, very clean. Wonderful breakfast. Hotel at zone 1, near to London center. Very nice staff. If you are someone with not too big expectations, Ibis on Brick Lane is perfect for you. We were there for only two nights, and stayed at the hotel only to sleep over, we were sightseeing all day. Ibis is perfect for that kind of a stay. It is clean, which was most important for me. The room was small, but completely enough. They changed our towels, and cleaned the floor during our stay. It was cheap and satisfactory, for that kind of money you cannot expect more. It was completely fine. Excellent service, excellent and quiet room, warm atmosphere, warm welcome, Very fast internet, it felt like Hilton service for a budget price. Cool pizza delivery service too! Busstop in front of the entrance which took me fast anywhere in London, excellent breakfast service. Staff walks around with blue t-shirts &quot;Welcome Home&quot; and that is what I felt within a very short time. Really, I felt home and I will certainly knock on your door for a room the next time I'm in London again. Keep it going! Staff was friendly, however, the conditions of the room were not. They say you get what you pay for....I wasnt expecting much with this budget hotel but I was very pleasantly surprised. The hotel is very clean with nice friendly staff. The nest room (which myself and my daughter stayed) is very small and the beds are so close together that it may as well have been a double but was again very clean and comfortable. The only thing was the dining room is more like a school canteen with benches and tables but you only eat there for breakfast. All in all I would recommend for a nice cheap hotel! The room was clean. Breakfast was delicious. The staff was extra nice. The hotel was nice and clean, very quiet despite overlooking a busy street. Close to the underground. Room was small but everything was comfortable. Staff are friendly and helpful. Staff were very friendly and helpful in this busy hotel. The room we were given was converted for a disabled guest- which, whilst it is great there are fully accessible rooms, was annoying when my partner in the dark accidentally pulled an emergency cord. I was dissapointed we were not told that this was the room we were allocated before we arrived.